Barbie has had many jobs over the years. Raiding tombs and shanking dudes with axes are now being added to the list. 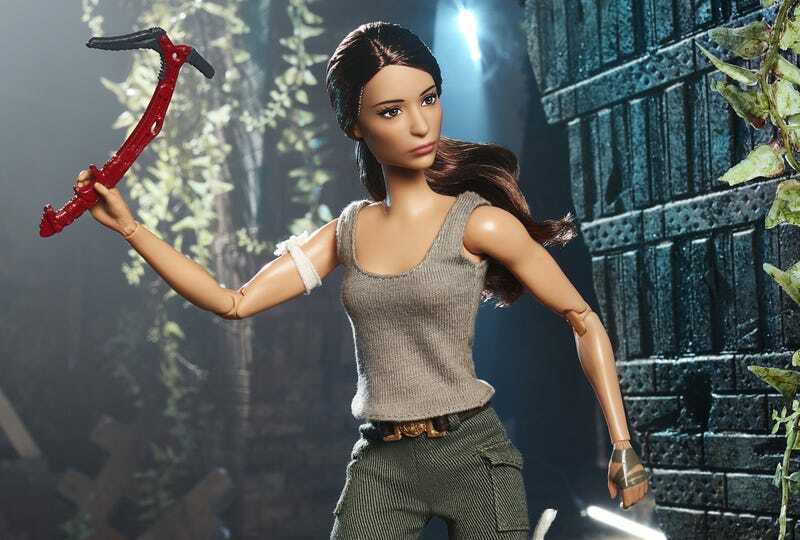 IGN reports that Mattel is releasing a new doll in the line based on Alicia Vikander’s upcoming movie role, and while her clothes are bit cleaner and more stylised than we’ll see in the film, they did include bandages, an axe and a map. It goes on sale online tomorrow, but I guess some stores accidentally started selling it early, since there are “children and their parents unboxing toys on YouTube” videos of it already.